Nokia 1202 is simple handset of Nokia company. It is specially for calling and sending messages. Peoples can manage messages and calling in this set so easily. It gives you high light with its little flash. If your mobile firmware has corrupted you can flash it with its latest flash files. Flash files are used for do software or update mobile old software. But in this cell phone you can use flash files for only flashing because this mini set can't supports for online updating. You can flash this handset with flashing tools. First you will need to download latest flash files of your mobile then put it into one folder in your pc because you will find it easily during flashing. The Nokia developers releasing free and working flash files for free of cost. And they are always releasing firmware new updates. 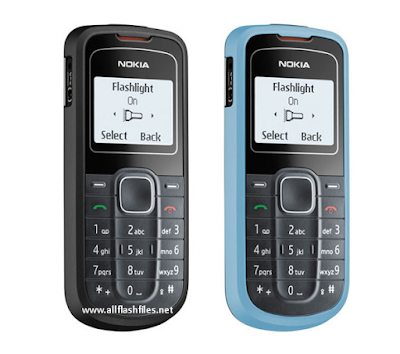 You can download latest flash files of nokia 1202 from bellow links. This flash file is tested and free of viruses.